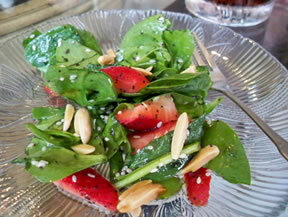 A tasty spinach salad with a dressing nicely seasoned with a touch of tangy horseradish. 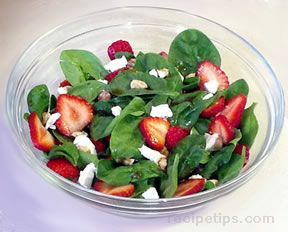 Wash and dry the spinach leaves; then tear the spinach leaves into bite size pieces and place them in a large salad bowl. 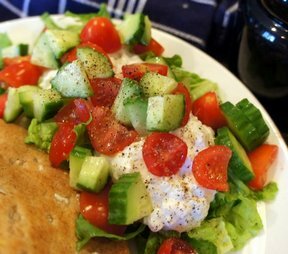 Add the cottage cheese and toss. In a small bowl, mix together the sugar, vinegar, sour cream, horseradish, dry mustard, and salt. Stir until well blended. Pour the dressing over the top of the spinach and toss. 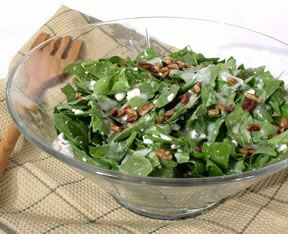 You may garnish the salad with the pecans for added flavor and texture.